Michael Jackson thought people wanted him dead because of "vicious rumours about him molesting children". The late pop legend - who died of acute Propofol intoxication in June 2009 - was convinced the allegations made against him would result in his demise, even though they were never proven and was never found guilty of any wrong doing. 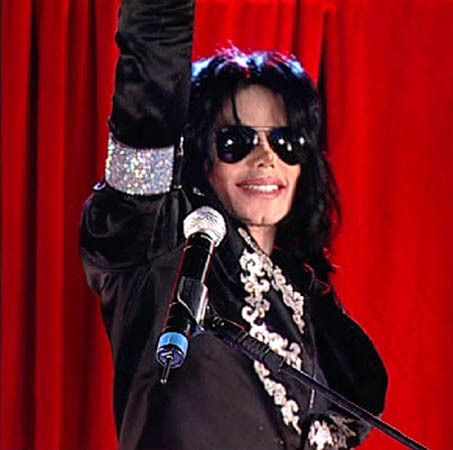 His mother Katherine Jackson revealed: "He told me several times he felt that people wanted him gone, wanted him dead. He would always say that and for him to say that he must have known something. "And also the vicious rumours about him molesting children, they are one of the reasons I think that he knew people didn't want him around any longer. But he knew those were lies. It's been proved, the first kid coming out and saying it was a lie. It's just some of the mean, evil, vicious people didn't want him around for some reason, they're greedy." Katherine also spoke of her belief that Dr. Conrad Murray - the 'Blood on the Dance Floor' singer's personal physician at the time of his passing who has been charged with involuntary manslaughter in relation to his death - is responsible for her son's death. She added in a video interview for new memorabilia package 'Michael Jackson Secret Vault': "Of course it could have been prevented because he had hired a doctor to watch over him and the doctor was negligent." However, the pop matriarch - who has legal custody of her son's three children, Prince Michael, 12, Paris, 11, and eight-year-old Prince Michael II, who is known as 'Blanket' - admitted she is still desperate to know what happened to Michael on the night of his death. Asked what she would like to say if she could speak to her son again, she said: "I'd have so much to say but the main thing I want to know is what really happened."